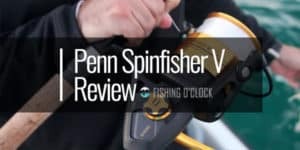 Anglers love spinning reels as they tend to tend to facilitate ‘more fish in the bank.’ In this, it is ideal to choose the right spinning reel in the market which will be in line with your angling goals. 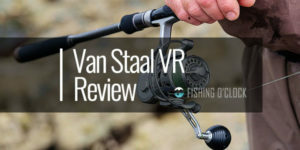 Bait feeding spinning reels are becoming a trend both in fresh and salt water bodies as they help anglers gain more in short periods. 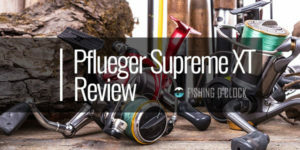 Manufacturers in this industry are working hard through development, improvement, and innovation so as to satisfy the ever-rising wants of the angler. 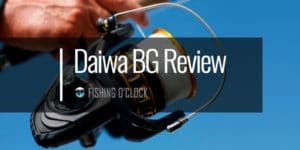 Okuma, a renowned manufacturer of spinning reels, has not been left behind. 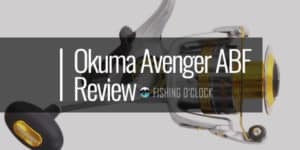 They have been able to come up with the Okuma Avenger ABF B Series, which they consider to be the market’s crème de la crème. 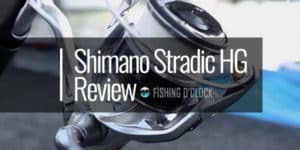 It is a product that is fitted with numerous features such as the unique Okuma Precision Elliptical Gearing system which makes this product particularly match your needs. This article will look into these features, pros as well as cons of the Avenger ABF B series. The Avenger Series is made up of quality materials. It has been tested for quality and reliability, and it has passed all the tests. 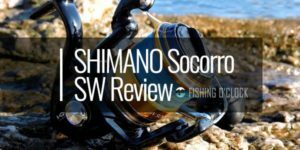 It has undergone numerous upgrades, and finally, Okuma put a new blade body design. This body is compact and streamlined at the same time. This ensures that the weight is evenly distributed throughout the product and you do not experience any excessive fatigue. The body of this unique product constitutes of corrosion resistant graphite material which makes it appealing to the eye. There are also standard handle grips which ensure that you are totally comfortable as you handle it. On models AV-35b to AV-80b, Okuma made use of T-shaped handles which add to the beauty of the devices. The manufacturer also included an on/off bait feeding system which is quite stunning. This switch allows the user to flip a switch and this puts the device into the bait feeding mode. The Okuma Bait feeder technology is also unmatched. In this, it is critical to note that success in this industry will emanate from the fish having a solid hold of the bait. This should be in such a way that the resistance of the fishing rod and gear is not felt. With traditional reels, it is a hard task. However, the Okuma bait feeder technology came to solve this mystery. It has a secondary drag system which is located at the reel’s rear and with this it is able to disengage the primary drag system. The bait feeder switch comes in handy as it allows the line to yield with adjustable pressure. 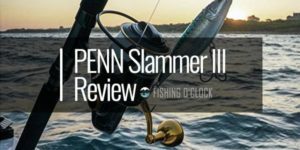 The fish gets the time to completely eat the bait and while the handle of the reel disengages the bait feeder framework, it re-engages the primary drag framework which allows for easier hooking. The fish is then landed. The Avenger ABF reels boast of beyond average performances. There is a 6 ball bearing system which facilitates this. 6 are for reel while there is an additional roller bearing which facilitates the anti-reverse property. This ensures that the drag in this device is engaged in the right way. 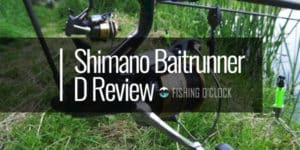 The drag allows the line to spool out at specific speeds depending on the game and the settings. It, therefore, allows for flexibility. 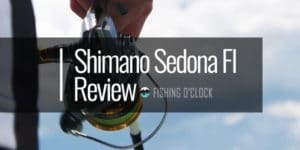 Okuma also made use of oil-soaked felt washers which promote a smooth experience by the angler. Most reels have been associated with jerking especially when the fish is taking up the line. However, with the Avenger series, this is not the case. The gearbox is also sealed. This is ideal as it is able to keep off dirt, water, and even sand out. However, it is critical to note that while it has this protective feature, it is recommended that you rinse and take good care of your reel. This will make it last for long and at the same time give you good service. The graphite body and rotor design is a guarantee of durability. Most reels will come in aluminum bodies which are quite weak and will wear out in months. However, the Avenger series is sturdy and will last years. The graphite is also considerably lighter than aluminum which makes this tool lightweight. You can, therefore, have long periods of fun alone, with family or even friends. A point worth noting is that although the primary material is graphite, you need to rinse your reel after every use. This is more critical in salty water areas. It will help your device stay strong for long. The Avenger ABF B series comes with a high level of flexibility. This is because it has the reversible retrieve property. In this, the reel can be switched with ease from both the right and left-hand sides. It is achieved by unscrewing the handle and then switching sides. The drag system is also oil felt and this ensures an overall smooth experience. 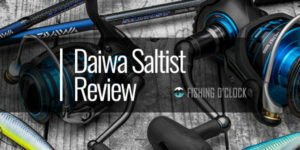 Okuma also made use of RESII system. This is a computer balanced rotor equalizing system which adds to the precision of the tool. It is clear that the Avenger ABF B series has numerous features that make it unique. To add to this, Okuma offers a 1-year warranty to their devices. This means that you are covered. The spool is not braid-ready. However, this is a minor con as there is a detailed manual on how to go about this. There are some plastic parts which make it prone to damage. However, plastic is as good as it is maintained. Make sure to take good care of your device at all times. 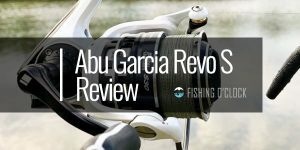 From the above, it is evident that the Okuma Avenger ABF B series is a powerful reel that will ensure that you have awesome experiences at all times. It will fill your bag with fish.